DETROIT (WXYZ) — From Legos to Game Boy Advance, 15-year-old James likes to play and use his imagination. The teen who is currently in foster care is hoping a family will adopt him who also likes playing and building creations together. He also likes card games featuring make-believe creatures such as dragons. Drawing is also one of his hobbies. But getting out into the fresh air is one of his favorite activities. “I’m sort of an outdoorsy person,” he explained. “I like to go outside and run around, and act like I’m hunting. As soon as I get my knife, I’m going to start whittling – which means I get to take the bark off wood,” said James. “I am kind. I am funny. I guess I would say I’m a really good friend to people,” he explained. When it comes to school, his favorite subject is biology, but he enjoys English, too. “I’m really good at reading comprehension. I want to be some sort of scientist,” he said. When he grows up, he told the Michigan Adoption Resource Exchange that he’d like to be a paleontologist so he can dig up dinosaur bones. But what he wants most is to be adopted. “I’d like any kind of double parents. It can be a Mom and a Mom or a Dad and a Dad – anything,” he said. MARE workers say that James would do well with any type of forever family as long as he receives the supervision and attention that he needs. A family with pets would be a plus, too. He really likes animals. “What I would like to do with a family is probably go outdoors to [zoos and parks], a family that likes to show how to do important life skills and stuff, how to take care of myself when I get older and all that,” said James. “I hope that a good family will adopt me,” he added. 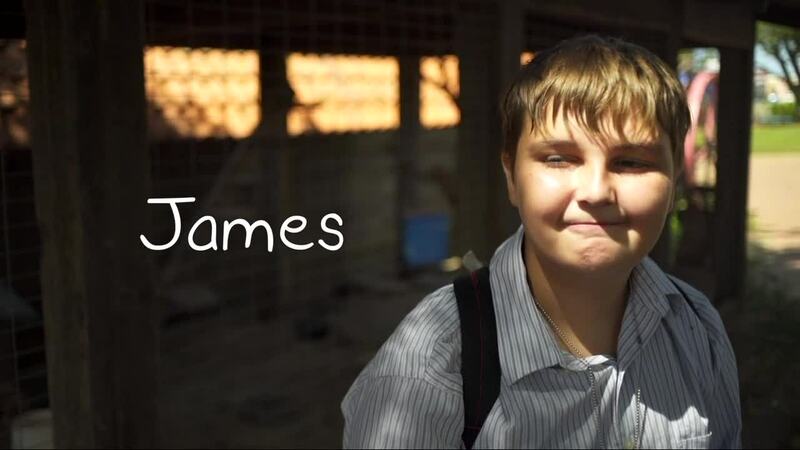 If you’d like to learn more about James, click here. If you’d like to find out more about adopting James, call the Michigan Adoption Resource Exchange at (800)589-6273. You can always help by sharing these videos on social media! Thank you!